A Juneteenth celebration was held Saturday at St. Joseph Missionary Baptist Church on the city's South Side. 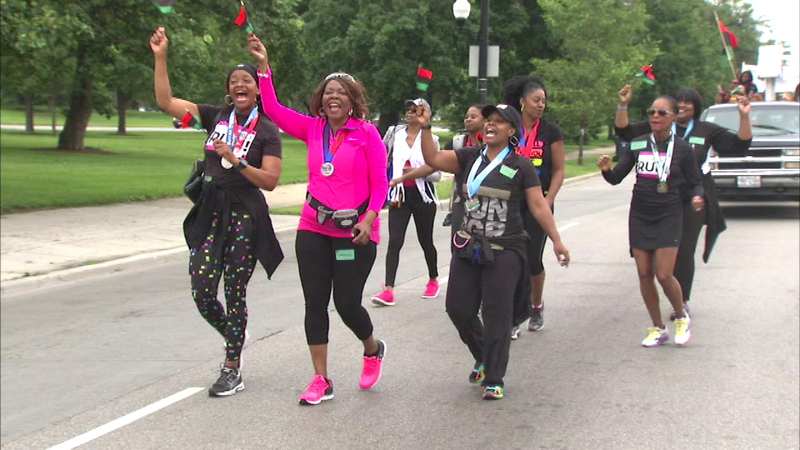 CHICAGO (WLS) -- A Juneteenth celebration was held Saturday at St. Joseph Missionary Baptist Church on the city's South Side. This year's theme is "Conquering Our Past, Commemorating Our Present and Committing to Our Future." Juneteenth or Emancipation Day commemorates the announcement of the abolition of slavery in Texas.